Why is it important that my water management consultant is independent? Why is it important to comply with the Safe Drinking Water Act (SDWA)? Why should I waste water flushing? What is Phigenics' primary goal for its clients? What are the top ways to improve chiller efficiency? How does Phigenics work with the government? Is emergency treatment such as shock chlorination or thermal eradication recommended to keep Legionella from growing in the system? Will my hospital become a Public Water System (PWS) if I treat the drinking water with a supplemental disinfectant like chlorine or chlorine dioxide? What exactly are the tests you are offering for Legionella? PVT, using the TimeZero test method, provides Legionella species and THAB results, where the inoculation occurs at "time zero" (t=0) and results are delivered in 2-3 days. PVT with ISO includes the TimeZero test method for Legionella species and THAB plus the Legionella ISO 11731 spread plate method. PVT Premium includes the TimeZero test method for Legionella species and THAB, plus the Legionella 11731 ISO spread plate method and PCR (a molecular marker negative screen). Legionella ISO 11731 (spread plate method) is available as a stand-alone test. Legionella Swab Analysis is available for tests of surfaces such as plumbing fixtures. What are the unique features of the Phigenics Validation Test (PVT) products? What are the unique benefits of these Phigenics Validation Test (PVT) products? Does the PVT test give me viable Legionella results? Yes, the PVT test using the TimeZero method measures viable (live) Legionella measured in CFU/ml. If choosing the PVT with ISO test, both test results measure viable Legionella measured in CFU/ml. If choosing the PVT Premium test, the PVT and the ISO measure viable Legionella measured in CFU/ml and the PCR measures viable and non-viable Legionella. Does the PVT test quantify the counts of L. pneumophila serogroup 1, 2-14, and Legionella species? Yes, all three options for the PVT test using the TimeZero method report Legionella in CFU/ml for each of these Legionella types. Specifically, how is the PVT test faster and more accurate? This unique test is a "time zero" (t=0) dipslide format, which means that the sample is inoculated immediately in the field and thereby eliminates inaccuracies due to bacterial growth or decline in water samples during transport to the laboratory. Other conventional tests, including the ISO 11731 Legionella test, are inoculated via spread plating after the drawn water sample is shipped to a laboratory. The delay due to shipping often causes inaccurate results due to sample holding time effects. In fact, scientific survey results show that a statistically significant number of ISO 11731 spread plate analyses return a false-positive result.1 In addition, the PVT test is analyzed in the Phigenics laboratory 2-3 days after receipt. By contrast, the commonly-used ISO spread plate test is not analyzed until 10-14 days after receipt in the lab. How is the PVT test more comprehensive than most others? The Phigenics Analytical Report and Summary Report include digital image records of your dipslide and identify the specific Legionella cultures, if present. Chain of custody labeling ensures that the dipslide in your report is actually yours. Which one of the tests do I want to order and why? PVT, using the TimeZero test method, provides Legionella species and THAB results. Inoculation occurs at "time zero" (t=0) and results are delivered in 2-3 days. Choose this test option when you want the fastest, most accurate and comprehensive reporting of Legionella and Total Heterotrophic Aerobic Bacteria (THAB). PVT with ISO uses the TimeZero test method for Legionella species and THAB, plus it includes the Legionella ISO 11731 spread plate method. Choose this test option when you want the fastest, most accurate and comprehensive reporting of Legionella and Total Heterotrophic Aerobic Bacteria (THAB) along with the commonly run ISO 11731 spread plate method. Many choose this option when they want fast, accurate and comprehensive results but also want to continue to track their ISO method results for historical and trending purposes. Additionally, the ISO method permits detection as low as 1 CFU/ml for those that want this level of detection. PVT Premium uses the TimeZero test method for Legionella species and THAB. It also includes the Legionella 11731 ISO spread plate method and PCR (a molecular marker negative screen). Choose this test option for the most comprehensive Legionella test on the market. This test combines the PVT for the fastest, most accurate and comprehensive reporting of Legionella and Total Heterotrophic Aerobic Bacteria (THAB), along with the ISO and PCR test methods. The molecular marker negative screen is a PCR (Polymerase Chain Reaction) method, which detects the presence of DNA from both viable and non-viable (living and dead) Legionella. A “Not Detected” result on the negative screen is the industry-leading and most definitive evidence that the sample contains no detectable Legionella. A “Detected” result indicates that the sample contains viable and/or non-viable Legionella. Legionella ISO 11731 (spread plate method) is available as a stand-alone test. Choose this test when you want comprehensive reporting of Legionella using this commonly used test method. Legionella swab analysis is available for tests of surfaces such as plumbing fixtures. Choose this test when you want to analyze for the presence of Legionella in biofilms on surfaces of plumbing fixtures. What is the level of detection for the PVT? The level of detection for the PVT is 10 CFU/ml, which is the practical limit of quantification according to results published by the CDC. 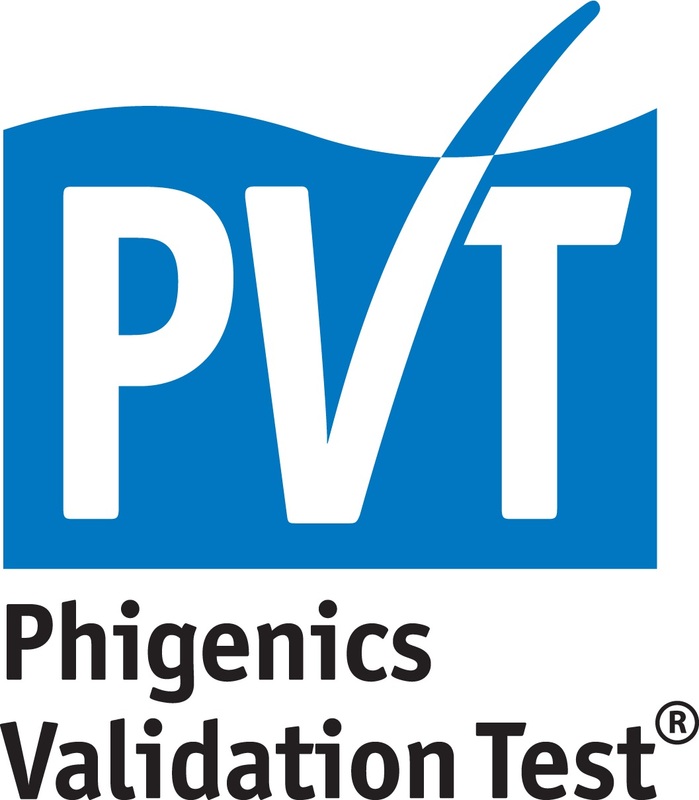 How do the Phigenics PVT tests compare to what other labs offer? The chart below compares the attributes of the three PVT test options with commonly run tests of other labs. Are the Phigenics Analytical Services Laboratories ELITE certified? 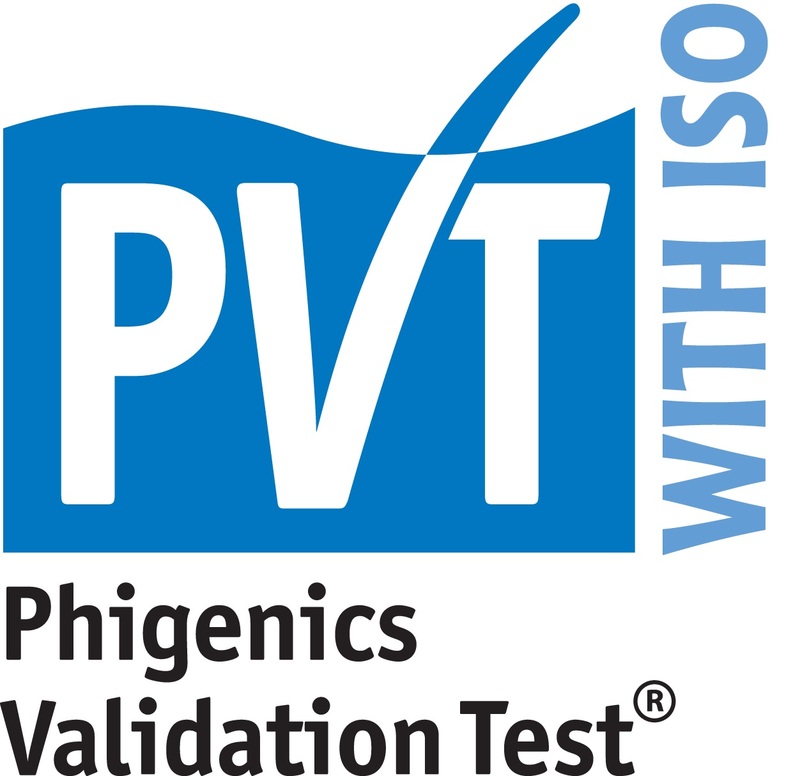 Yes, the Phigenics Analytical Services Laboratories are certified as proficient in the Environmental Legionella Isolation Techniques Evaluation (ELITE) program administered by the Centers for Disease Control and Prevention (CDC) for using both the Phigenics patented PVT Test (using the TimeZero test method) and the ISO 11731 spread plate method. 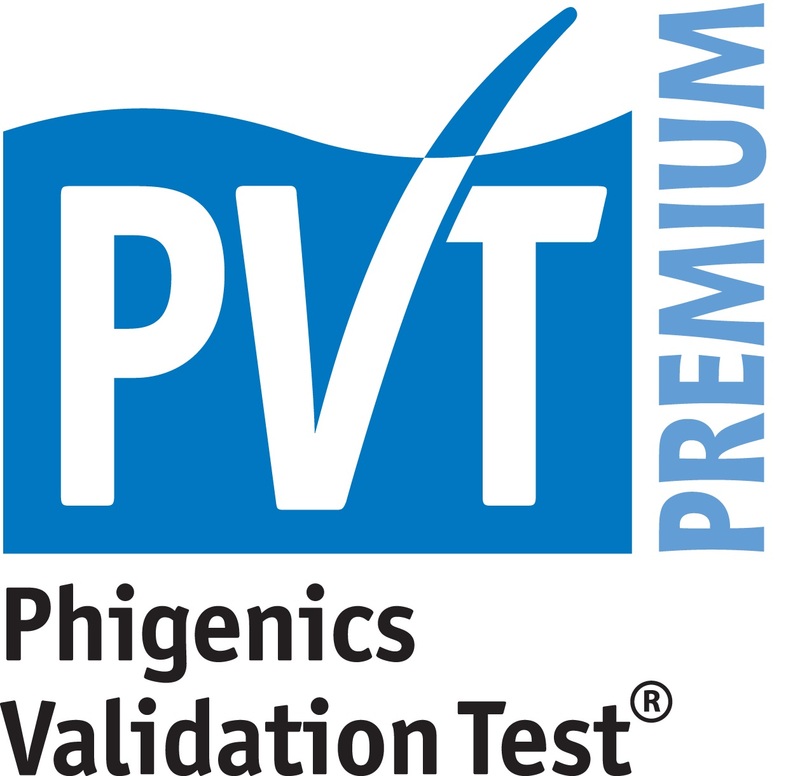 Phigenics has passed every proficiency test since the beginning of the CDC ELITE program with recurring perfect scores. What other certifications does the Phigenics lab have? Phigenics is an EPA-NELAP certified laboratory for the analysis of drinking water. Phigenics is certified by the State of New York to conduct testing of potable and non-potable (cooling tower) water for Legionella culture analysis. In addition, the Naperville lab is certified by the Illinois Department of Public Health to conduct water tests for total heterotrophic aerobic bacteria (THAB), Total Coliforms and E. coli. How do I run this PVT test? Instructions for each test option can be found here. How do I receive my test result reports? Your test results will be e-mailed to the address provided as soon as analysis is complete. In addition, upon request, your test results will be made available on the Phigenics web-based analytics platform. Am I able to examine trends of my test results? Yes, upon request, your test results will be made available on the Phigenics web-based analytics platform with enhanced reporting of your results. Orders can be placed by clicking here. For any questions or concerns, contact Phigenics at 877.PHIGENICS or 630.717.7546, or email us at info@phigenics.com. How can THAB be used as a validation tool? Why should the VA consider the PVT test over ISO? What happens if I have a problem with my invoice? What is the purpose of a Water Management Program? Why should I spend money with Phigenics for a Water Management Program when I can purchase one online? Why is it important to verify a Water Management Program? Phigenics is an innovative water management company that meets the increasingly complex needs of facility owners and managers to improve overall water safety while reducing operational (water, chemical, energy) and capital costs. Our innovative solutions and business model represent a clear shift in thinking. We do not sell chemicals or water treatment equipment and we are not driven to provide a solution that is restricted to an internal product line. © 2019 Phigenics. All rights reserved.